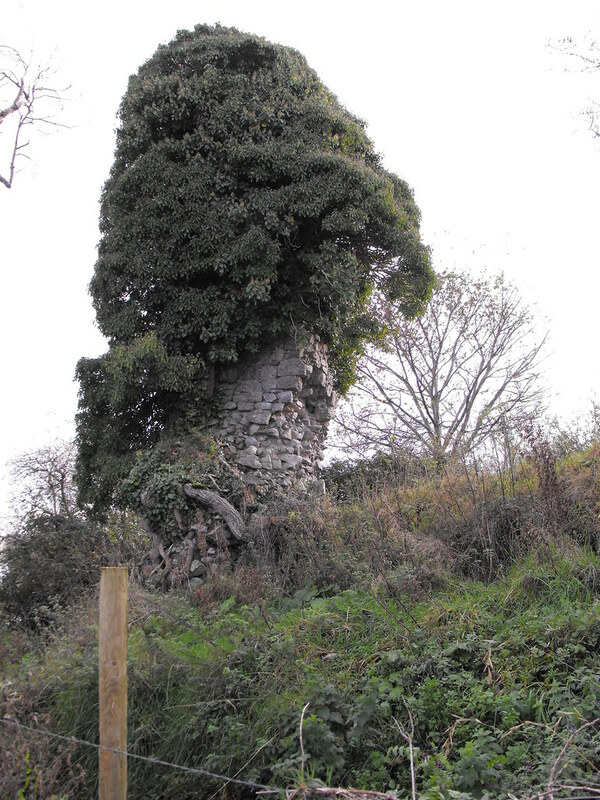 The Standing Stone: Ballyartella Tower House, Co. Tipperary. Ballyartella Tower House, Co. Tipperary. Location – On a small third class road that connects the R493 and the R495. 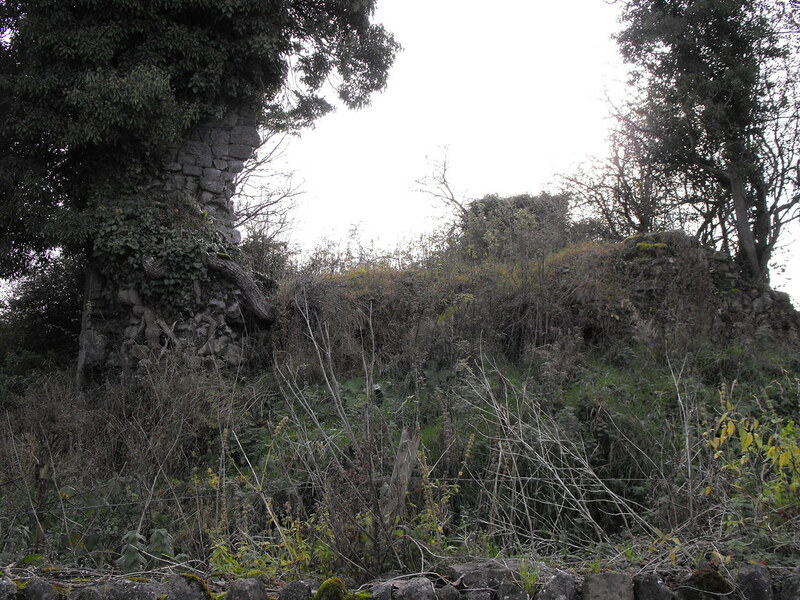 It is located about 10m to the W of Ballyartella bridge. Description and History – Little remains of this castle and I may have never gone to see it unless it wasn’t right next to the spectacular medieval bridge that sits next to it. It is situated on a natural knoll which elevates it somewhat from the surrounding landscape. All that remains are the footing of a small tower house with some fragments of the E wall surviving up to the second floor level. There are some fragments of wall on the W side of the tower. On the E wall springers are visible that would have supported a barrel vault over the ground floor. It has been a ruin since the 17th century when the Countess of Ormond was listed as the proprietor. Beyond this there is really little to say about this castle. It is overgrown and fenced off. It is also possible a little dangerous because of its fragmentary nature. I hope that what is left is conserved and being so close to a scenic spot I could see this happening. If this isn’t done then it will inevitably fall. Difficulty – It’s right next to the car-park that divided the castle from the bridge. It’s in a small group of trees and covered in ivy but not too hard to spot.